Start by loading a source file, (texture or 3D Model). ShaderMap instantly generates displacement, normal, and ambient occlusion maps. View your maps on custom models and paint normals and displacement pixels in the ShaderMap Normal Editor. Load an image or 3D model and ShaderMap will create a project with Displacement (Height), Ambient Occlusion, Tangent Space Normals, and Specular maps. Add additional maps like World Space Normals, Curvature, and Albedo directly with the Project Grid interface. Thanks to the flexible plugin system, new maps can be added to ShaderMap projects at any time. 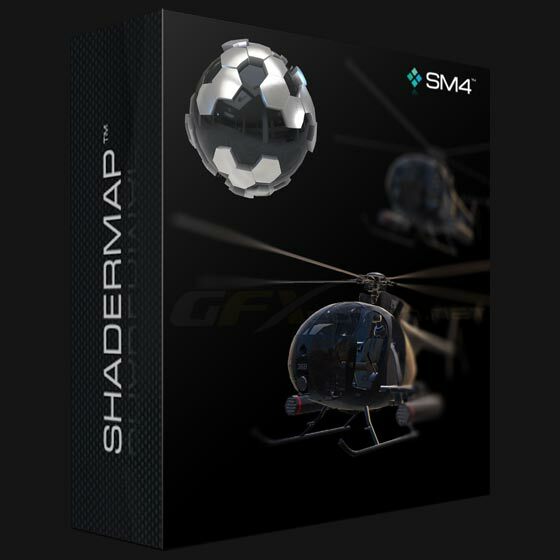 ShaderMap uses high precision floating point pixels to store and calculate all Maps. This ensures accurate detail throughout the workflow and allows import and export of HDR formats such as OpenEXR as well as 8 and 16 bit image formats.